How do you jump start an emerging social media company’s march toward user numbers, and revenues? Well one idea could be to partner with Microsoft, who has been in a ‘social’ mood lately, buying LinkedIn for $26.2 billion USD in cash. 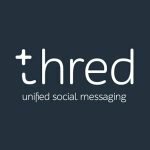 A way to bring the fragmentation of social media apps and platforms such as Facebook, Twitter, LinkedIn and Snapchat together to create a one-stop shop for all communication tools including text messages, emails, PMs, and social media posts. Partnering with Microsoft is exactly what today’s ASX listed social media platform has gone and done. This company just relisted on the ASX having completed its reverse take over, and raising over $6.3 million through an oversubscribed public offer. The partnership with the Microsoft could bode well for our ASX company’s future as it puts its technology in front of every single Office 365 user – at last count that numbered 60 million worldwide. This company is simplifying social media use, aiming to wrap itself around all social media platforms, so that anyone, on any platform can talk with each other. With Microsoft on board, this ASX stock could unlock the walls built up around the 140+ individual social media channels and platforms.